Bankruptcy happens – in today’s economic climate, living well can be extremely difficult. Sometimes, financial stability is simply not a given. In addition, catastrophic life events can happen to anyone. Things like losing your job, dealing with a divorce, or undergoing a costly medical procedure can act as major financial setbacks. There’s no reason to feel ashamed if your best option is bankruptcy! Your first step should be to contact a bankruptcy lawyer. A bankruptcy attorney can walk you through this complicated process and ensure successful debt relief. This is where the Kepple Law Group team comes in – when it comes to bankruptcy law in Peoria, IL, there’s no better legal team than Kepple Law Group! Contact us to learn more about our bankruptcy-related services. The term “bankruptcy law” refers to the section of the law that deals with debt relief and bankruptcy in its various forms. It’s important to remember that filing for bankruptcy is a common occurrence. It can allow individuals, couples, and businesses alike to regain their financial footing. 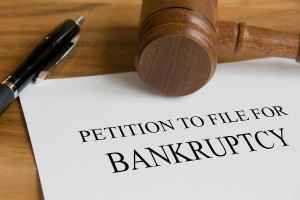 Why Do I Need to Hire a Bankruptcy Lawyer? Kepple Law Group’s team of bankruptcy law experts in Peoria, IL is highly qualified to help you ensure successful debt relief. We can walk you through Chapter 7, Chapter 11, and Chapter 13 bankruptcy and make sure you choose the type of bankruptcy that is right for you and your family or your business. Kepple Law Group is well-known for employing the most trusted bankruptcy lawyers in Peoria, IL and beyond. If you need assistance during the bankruptcy filing process, it’s time to get in touch with Kepple Law Group, LLC today. Call us at 309-282-1545 or get in touch with us via our online contact form.